The weekend was not going to be a rest day by any means. I had walking, camping and racing planned and that is exactly what I did. Come Sunday morning I was waking at 6am ready to drive to Ulverston to meet a friend who would be participating in these activities. But first we had to get there and as my friend volunteered to navigate along the stereotypical roads that crisscross and meander through the valleys and around the foot of the mountains that stand tall and survey the landscape we found ourselves in Langdale. 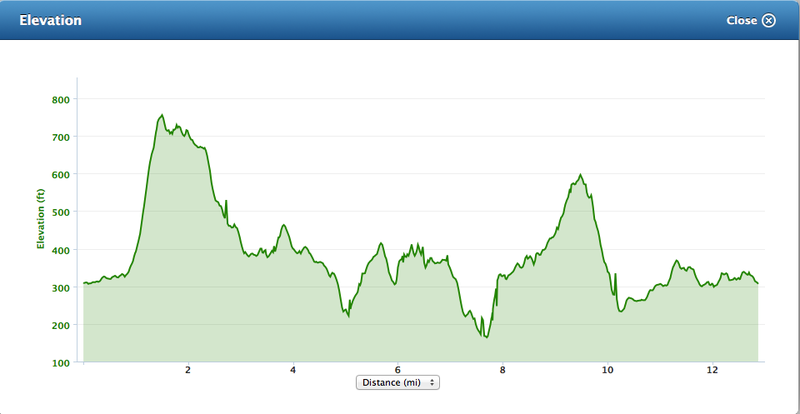 The main object of the weekend was the Langdale 10K race, an undulating little number of there and back. Last year it was held over two days and had reached its 500 capacity on both days very quickly. This year had a capacity of 750, but for reasons unknown failed to get more than 100 on each of the days. As the rain lashed down and thoughts that I would finally get to wear my rain jacket which was a direct result of being left out in the rain for too long at Manchester Marathon, and the knowledge that Snowdon Marathon was notorious for its wetness I decided that a decent running waterproof was in order. Apart from the odd training run I had never really got to use it. But as the wind buffered the side of the car and the rain carried on falling I thought I would finally be fulfilling it’s purpose. I joked that once we started the rain would ease off, and sure enough seconds after the gun the rain ceased to be. This must have been the strangest of races I have lined up for. I think in total there were 39 other people positioned ready to start and as I ran and ran fast it felt very much like a training run. The pack broke up quickly and within the first 30 seconds the distance between the runners were spread out along the valley road. After a strong race, where I kept my position and managed to over take a guy in the last two miles my legs didn’t quite have the energy to pass the woman 500 meters in front of me but I still crossed the line in just over 43 minutes, that considering the course was a good time. After the race we set up camp in the National Trust campsite which was empty apart from some rabbits and several flooded pitches. We found an area that we thought would remain dry and set up camp. After the comical chasing of tent bags due to a large gust of wind in which the blog takes its title we were set up. Now it was time for a walk. The weather was still unsettled and a little apprehensive in what it wanted to do, but we began the climb to Pavey Ark. The river that runs down from the tarn was in full flow as it rushed down the valley, leaping off rocks kicking spray into the air. The usual route across seemed a little dangerous as the stepping-stones across the river were covered with white foaming water rushing along. After seeking an alternative we made it to the snow topped tarn and looked for a way to climb Pavey Ark. Again the river and streams were full to bursting and current was faster than a penderlino from London. We concluded no safe way and as the cloud cover and storm clouds began to circle we thought it wise to turn back for food and ales. After a good many drinks and a very typical English tradition of paying Draughts, which I lost, we turned in for the night. This was when the fun began. As I tossed and turned to get to sleep, I heard the rumble and howling of the wind coming off the mountains as she sped up running toward the valley and the campsite I heard it rush past the tent. Then there was silence, and like the after shock of a quake the full effect of the wind took hold. With no noise the tent blew, and shook trying to be lifted from its moorings, and then nothing. Then five minutes later the same effect. The noise of the wind followed by silence followed by the effect. This went off throughout the night and into the morning which made the packing of tents a very enjoyable experience as we battled with the gales to un-pin our shelters from the ground while still trying to keep said tents firmly in our grasp. I later find out they call this the Langdale Express and sometimes the wind come from both directions and crashes in the centre of the valley. After packing away and checking the forecast we moved on to climb Wetherlam. But that is a different story all together. As I when I say climb, I mean climb. The first part of this weekend break was a fantastic adventure with good company. I had ran a good race, walked in one of the few places that I hold dear to my heart next to Snowdon and had a lot of good ale and fantastic food. So lets be honest the year has not been great. I’m still in the UK and only managed to visit the wonderful Wales and walk Snowdon a handful of times. I have yet to make the move to New Zealand and am still working in theatre. Still single and desperately want to move to Wales and work in the heritage sector or be a park ranger for one of the National Parks, 2012 has not been any different from 2011 or 2010 apart from two letters, ‘P’ and ‘B’. 2012 has been a year of Personal Bests or as my friends across the pond say Personal Records. Hopefully when I do a round up of 2013 I will be sitting in a cafe in Christchurch or Wellington talking about how the past three months have seen me Skydive and Bun-jee jump in between the trekking and kayaking through the scenic backdrop of New Zealand. The 2013 review will also have some PB’s I hope. So 2012 has all been rather quiet. Work has been slow but I have managed to fit in a lot of running. The first being a 10K around the Orme in Llandudno Wales and this was the first PB of the year, the second race was to see yet another PB although not intended. 2012 was the year I discovered the Marathon and was taking part in the Manchester one that had been away for ten years and as a warm up entered Liverpool Half. When I say a warm up it was to practice my pace, taking on gels etc as I knew I could run 13.1 miles has I had done the distance several times however on that hot March morning as the gun echoed I went for it and after 1hr 41 minutes 34 seconds had recorded a new PB, which had not been my intention as I wanted to see if I could run at Marathon Pace which would have seen me cross the line in under 2 hours. The next race was the Marathon and what a wet marathon it was, cold with a wind chill of -1 degree. I wanted to break sub 4 as every runner does for some reason anything more doesn’t make you a runner but as I was left out in the cold soaked to the bone and hands frozen to the point where I couldn’t hold bottles or undo the zip to get any gels my brain went F$%K it…. and i hit the wall at mile 15 in the middle of an open vast empty isolated cheshire countryside with 6 miles until the urban sprawl of Trafford and the city lights of Manchester. As I ran those finally 11 miles forcing my legs up rather than dragging them beneath me all I could think off was ‘Who else can say they have done this’ the answer is less than 1% of the worlds population has ran the distance and as I was crying with pain spending time thanking the crowd who were offering words of encouragement and the all so important jelly babies, I was determined to cross that line and as I returned into the park I crossed the line in 4hr 31 minutes and 22 seconds. Cold, exhausted, euphoric and wet I had done a marathon. As I hobbled to the tram stop and clambered into a warm bath my thoughts turned to the next marathon… Not because I enjoyed this one but because I had to get a sub 4. The next week I was in pain, as a runner friend says I had a bout of the ‘Lady GaGa’s’ “ohhhh, oh-oh-e-oh-oh-oh’ But I had to get better as for some reason I had schedule a whole month of runs. The first saw me at Port Sunlight 10K. Again this was to be a cool down run, a recovery run a nice slow pace. That slow pace saw me get another PB in 43 mins 20 seconds. Oh well I will recover on the next 10K the following week, which I did as I crossed the line in 44 minutes. A new course record for me on the Manchester 10K but I wanted to do better on my home turf but the usual crowded streets and bottle necks does not make for a PB. I was now determined that the 10K in Bangor run would have to be a PB, but it seemed that the Marathon and constant fast running had taken it toll as it was not to be plus the fact that Bangor is hilly and the heat on that day was a joke. As we pulled up I said to my friend I would just run it nice and slow. 46 minutes is not slow and was not nice in that heat. I finally had a week off from not running so rested a little more and by this point I had started seeing a physio on a regular basis and still do to this day. The last 10K of the season for me was in Merseyside and was to take place running through the tunnel from Liverpool over to the Wirral and I did it in 42 minutes, another PB. The week after was seeing me drive to Llandudno again but for a new race distance a nice ten miler. I as usual set off to quick at 10K pace but managed to keep it up to see me cross in 1hr 12 minutes. Most of the summer saw me walking and hiking in the Lakes and not really get much running done, due to a strange injury I had developed. This was a concern as come October I would be running the 26.2 miles around Snowdon in a warm up to this I entered the Langdale half. To say this was hilly is like saying the Sistine Chapel has a nice painting. So on a very warm late september morning I tackled this course that had climbs of 33% as I twisted around the valley to come in at a very impressive 1hr 45. No PB, but certainly not what I was expecting. A slighter slower race in a warm up to Snowdon was the Macclesfield half, which was no fast time but just a really good race being able to run in my home town and hear the fellow runners complain about the hill sections of the course. I had to bite my tongue as after Langdale the hills were more of a bump in the countryside than any force to be climbed. So then came October and the big race was upon us. I just wanted to finish it, and had set a target of five hours. Snowdon has a lot of hills, long hills. Not steep, but long. If I remember correctly one section climbs for over five miles. Unlike Manchester I felt fine crossing the line in a PB of 4hr 17 minutes I felt super. Legs didn’t ache, I could walk with out looking like I had just shat myself managed to get out of the car with little fuss after a 2.5 hour drive, to be honest It didn’t feel like I had ran a marathon. I said to my friend who had kindly driven me on the day that Snowdon would be my last 26.2 mile race. I wasn’t cut out for them and preferred halfs. He laughed and said there’d be another one…. He was right. The only race left to run now was Conwy Half. A half I was introduced to by a running friend and saw me get a PB in the distance in 2011. I wanted to get a sub 1:40 and had worked out my pace and even worked out on the which sections I could speed up if I had lost time as again the first four miles tends to bottle neck so you are running slower than you would like. On this cold November morning in the crisp ideal weather conditions for PB’s I set off running towards Llandudno and to climb the great Orme for the 3rd time in a race. By the time I got back to Conwy I was clock watching trying to work out when I would cross the line, the Maths in my tired brain was way out as when I finally crossed the line thinking I had failed to get a sub 1:40 and looked down to my Garmin to stop the clock to see 1hr 38mins 36 seconds. Get in . And so thats it my 2012 has mainly been in running. Sure I bagged some Wainwrights and finally did the Snowdon Horseshoe, but 2012 has been all about the new races and the way I have gone from strength to strength. Hoping I will take all of this into 2013 where I hope the Manchester Marathon will see me break sub 4, but I’m hoping a sub 3.30 will be on the cards. The Bridge race in Anglesey will see me do a sub 1:35 for a half and I’m hoping that the Manchester 10K will see me smash 40 minutes for that distance but again I am secretly thinking that a 35 minute PB would be nice. To do all of this I need to be strict. My training has never followed a plan, I have just ran. 2013 will see me kick the booze for the first four months, eating like a runner should and doing some good old cross training as well as plenty of tempo, hills and speed work, I need to get this targets and I need to run fast…. I have dream to beat Mo in Glasgow in 2014. Enjoy the rest of 2012 and enjoy 2013… I know that I will as towards the end of the year i will be finally boarding that plane to take me to New Zealand.